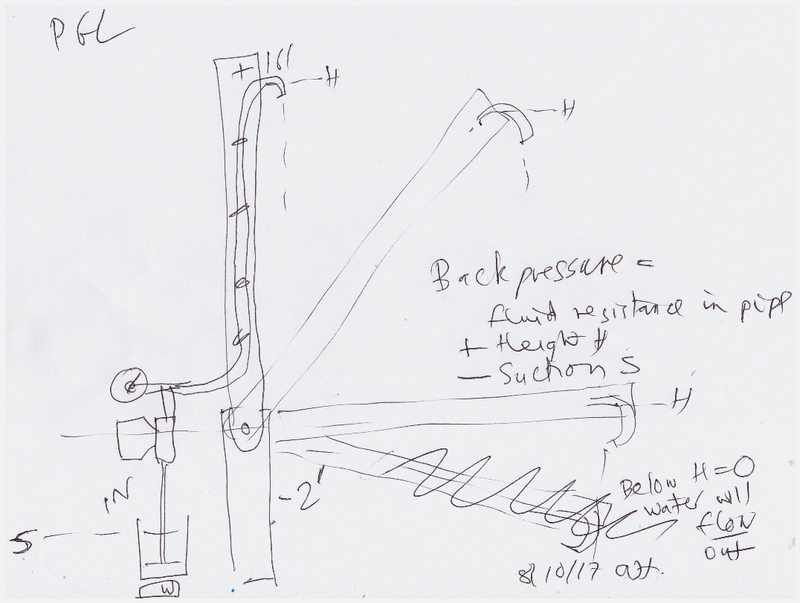 Better yet, ask him to provide a schematic of the plant and heat exchanger system. There is no IP involved here, simply plumbing. This will not happen as Zorud explains, Rossi "redesigns" his system whenever a major problem is exposed. Master of "Plausible deniability"
When will Rossi supporters have to stop "dreaming up" defenses for Rossi? Rossi does not defend himself, he allows his supporters to conjure up and then implements what fits his current crisis! What pure BS about "seeking truth and being unbiased" IHFB requires ZERO accountability from Rossi. If Mr. Fletcher's tests show that the pump is not capable of the flow rate stated by Rossi, IHFB will not be swayed in the least. It will simply be a "seems to me, Rossi had a recirculator pump" or "the model number is not exactly known" or some other defense. Certainly he will come up with something, as Rossi will not supply his loyal followers with any hard clad evidence or support. Quite amazing. I have to laugh when IHFB states " I think you have made some unwarranted assumptions" because that is ALL he ever does! Other than help pay for a pump, that even if the test shows incapable of meeting the requirement, will not change his mind to any degree whatsoever. After all, Mr. Fletcher has to get the pump to increase it's output by "only 50% more". Why not add a recirculator pump, why not add 100 PSI input? Why would Rossi use a pump that was not rated for the temp nor the flow rate for an entire year? Does not matter, because the "Assumption" is that it worked! Again, why is Rossi not selling in Europe? Rossi could easily douse these many questions with a "plumbing schematic" of the plant and heat exchanger. But he does not! hmmmmmm. Zorud - I have the product manager's name and contract information for the pump if you'd like it. He's pretty cool and was very helpful. As previously stated, a metering pump is a metering pump and the diaphragm design inherently cannot overachieve by much. Send me an email at [email protected] and I'll provide details. I have a question. What happens when there is a head of pressure on the inlet of this pump and it is not actually pumping? Does water leak through? Mr Weaver. Are you free to reveal details of the evidence IH gathered for the trial? The affidavit from Prominent for instance? To my understanding the settlement agreement signed by the parties to the case only restricts release of material obtained in discovery. Evidence developed by IH and not through discovery, on the other hand, is potentially open. Bruce - Thanks for the inquiry - more information may eventually be shared provided there is time / interest. I mostly fire back when fired upon - perhaps Planet Rossi has finally figured that out by now. I have only brought the suction tank to 4" above the pump center-line, so I haven't seen leakage, and it's not expected. (I'll look at the video again for that run). I would have to bring it above the discharge height. I would expect both valves to open and leak through. No ... I'll do that. I'm only going up to 4 liters. I'm going to be working on the discharge end, so I'll be able to get the discharge head down to about 8 inches. Except we're now at 47+ l/h with a very small head pressure and back pressure. Add a little more head pressure, and my guess is Alan F. is going to see more. I care little about what the product manager says. What matters is what the pump does. Edit: I would, however, be quite interested to read what they put in their affidavit. Since the flow varies with backpressure, I should have run them with the exact same volumes. What are the discharge heights and initial inlet heights for these 2 runs? Current "Standard" ... +12 discharge and -21.5 suction (inlet filled to a mark). Right now my input/output tanks are small buckets, with tapered sides, so the suction height varies non-linearly with volume. I guess I should buy a couple of cylindrical tanks. I played with "batch" mode ... but couldn't get it to work. I plan to reach out to ProMinent GmbH in Heidelberg to hopefully get in contact with their Product Management / R&D, just to get some professional feedback and statements regarding this entire GAMMA /L pump mess. I hope they will be cooperative. To tell the truth, it seems to me that Rossi's detractors are the ones who spend their days looking for flaws in E-Cat technology and Doral's test. You have called into question anything, always trying to interpret every grey area in your favor. And now you yourself, who say that others are looking for every little detail, are the first to do the same, since you want to contact ProMinent in the hope they could tell you something that can put Rossi in bad light. If detractors were so convinced that the E-Cat is a scam, they would not work so hard trying to discredit it. I'll measure the volume on the inlet tank. Bad news on timing : while recording the RUN13 data I noticed one occasion when the GPS unit skipped by TWO seconds. I don't know if the GPS was doing something else, or if this was a camera artifact. Not a big deal, but I may have to set the timing accuracy to +- 1 second rather than +- 1 frame. I'll try to find a digital clock/wristwatch with a second-display. Smartphone? You should be able to find a suitable app for free. On my android, for instance, I have a clock app that can also be used as a timer with a large digital display. Smartphone? You should be able to find a suitable app for free. Never trust something that is busy doing something else. To tell the truth, it seems to me that Rossi's detractors are the ones who spend their days looking for flaws in E-Cat technology and Doral's test. Rossi detractors have the easiest jobs in the world. They do not "spend days looking for flaws". They do not need to. as Rossi serves his flaws, and bad science, on a silver platter to them almost every day. Biggest decision for them is which one to focus on. Yes! I have felt that way about these newfangled multitasking operating systems since 1966. Call it timesharing, call it re-entrant, background, spooling or Windows, what it amounts to is a CPU that doesn't have time for YOU, dear, and your petty concerns. It will ever be thus. They have 8 cores now, but even when they put 50,000 in a computer. Mr. Gates and his minions will find a use for them all, and you will wait. be careful. Its obvious theyre fishing info.